Every app entrepreneur wants to launch their app to an eager audience and excel in an uncontested market space, but few can do it. Our host Peggy Anne Salz from MobileGroove connects with Kushal Ghimire, a serial entrepreneur and CEO of Livereporting LLC–who shares the motivation for creating Assignmate, a first-ever app that pairs students with tutors who can help them tackle problems and projects. Kushal, who was raised in Kathmandu, Nepal, and later attended Caldwell University in the U.S. also shares his personal experience around app development, marketing and an insightful list of what other developers need to do to launch an app sure to have impact. Hello and welcome to Mobile Presence. I’m your host, Peggy Anne Salz, with Mobile Groove, where I plan, produce and promote content that allows my clients to reach their performance goals and scale growth. And as I have said many times here at Mobile Presence, it’s all about growth and we spend a lot of time looking at app marketers, we spend a lot of time looking at apps but we also look at the other approaches to mobile marketing and also how you can move the needle on your mobile presence, be that if that’s through a website, a mobile enabled website or an app or whatever it is, this is the destination for what you need and I love it when I have the opportunity to really reach out to guests we have never heard of – this is the case here – and we should be hearing from because they are basically, you know, part of our tribe. It’s all about what you need to do and we have to start somewhere, which is why I’m really excited to welcome Kushal Ghimire, he is CEO of Livereporting. Kushal, you’re coming to me straight from Nepal today, aren’t you? Yes, I am, Peggy. Thank you so much for the introduction and it’s an honor to be on your show. So I’m going to go for this, I mean, I love culture and I love the culture of your country, I‘m a great fan of world music and all of that good stuff, so I know about Nepal from what I’m seeing on the documentaries but I don’t necessarily associated Nepal with start-ups. So, tell me about yourself – it’s the first time we’ve gone this far to get a start-up on the show. OK, so my name is Kushal, I’m 24 years old, I was born and raised in Nepal but I went to higher education in the United States so what happened was when I was in the States, I got caught with app fever, you know, and then I decided, OK, I want to do something, I want to do something for my school, for my community, and I want to do something for my country. So, you know, we do have a lot of start-ups in America but we didn’t have anything, any start-up that could make a worldwide impact in Nepal. So, you know, that was it, I decided, I packed my bags and I started from Nepal. So, I’m just curious, where did you go to school in the States and what did you study? Caldwell University, I was business administration major. OK, so you do know how to do business. You’ve been bitten by app fever which is something, so you didn’t tell me, Oh, I went to Silicon Valley and I hung out with a lot of start-ups and we did some talks in Starbucks and we mapped out this amazing app, and this isn’t a game, this is something really serious which is also extremely exciting and, for me personally, moving. So, what about apps? You got into apps, we’ll talk about Assignmate in a moment because it’s not a game, which is surprising, as I said – usually people come and say Hey, I want to make a game because I want to get rich, whatever. You didn’t, but where did the app interest start? You know, I was actually a really big fan of Uber before Uber got that big and then, you know, it was just inspiring for me – you build an app, right, there’s no restrictions, you can be anywhere in the world and it works fine and that was it. I just decided Oh my god, Uber was so cool – could I do something like that? It was on the back of my mind and then this idea came to me so I decided I had to build an app and here we are. Here we are with Assignmate and I have to say when I was reading about it, looking at the – we’ll talk in a moment about some other details about it – but just on the face of it, I like the idea because it’s all about that Uber concept that none of us is as smart as all of us or as fast as all of us or effective as all of us put together so what we need is we just need those platforms and those tools to put ourselves altogether. You know, crowd sourcing and mass and Assignmate is about that – it’s a complement to education, also at some levels perhaps a challenge. Why don’t you tell me more about Assignmate and your vision for it? OK, so you know, I’ll tell you the story behind the app. What happened was when I was in the States, I had a good friend from the Middle East, right, and he was a really hardworking student but he had problems with his English because they don’t really have compulsory English in the Middle East but in Nepal we actually do it from middle school. So, I was just helping out with his papers, he was a really hardworking guy but it was just not working out for him and I helped him out and he got better grades so, I mean, getting help is not cheating exactly, is it? So, I just thought there’s so many students who are not good at everything, you know, like you go to school for business and you don’t really – they might be bad at writing papers, what about them asking help from someone else, you know? That’s why I decided to do this and one more thing – this might sound controversial but I felt like education institutes are really good business, with a great PR but they’ve never been challenged and if a business doesn’t get challenged, they have no reason to evolve. So I just thought Oh my god, they need some challenges, you know, to iron out the kinks and to be better so I decided to basically challenge them and help students out in the process with the app. So, basically what you’re doing in Assignmate is you’re saying like anything, you know, like these Taskrabbits and what have you, there’s a community of people who need help, in this case it’s not Taskrabbit, it’s help me out with my assignment, with my homework, what I’m doing at the university level, and then you’re matching them up with private tutors and somehow getting the two of them together so that the person who needs the help, gets the help. Would that be a fair explanation of the app at a higher level? Yes, you’re right on point. OK, so let’s go a little bit deeper. How do you actually find the people who need help with their assignments and the tutors who are willing and also, importantly, qualified to help? OK, so to answer that question, for tutors actually I’m not sure if you have checked it out, there’s some – in college websites, there’s actually a part, like Craiglist, and it says “Tutors of A Level” and they actually map out their hours and how much they charge so what we are doing is we are basically contacting them and asking them if they would like to be in our app and just cut out the middlemen. And for students, if they are tutors of A-Level, we are guessing students will come through anyways. And I’ll tell you one more thing, let me just explain how the app works from the basic level. Yes please, I’m looking at the screenshot, I mean, I do like it, I like your icon also a lot because I do a lot of work in this area and talk to people about creatives and here I see it looks like a piece of notebook paper, it’s got an A on it, which is sort of (1) for Assignmate and (2) what you’re hoping to ace here, right, if you get everything right, so just a nice icon, nice clear iPhone screenshots, I have to say, because being a start-up as you are, you know, one man show, well done – so I’ll give you a high five on that one, high marks on that one. But, tell me about the app. Alright, so this is how it works. You can either sign up as a student or as a tutor. If you sign up as a student, you have an option to post an assignment with the details, deadlines and amount you’re willing to pay. If you sign up as a tutor, you see the assignments in your newsfeed, so you can connect with this student and what happens, the students get multiple choices. They might have five tutors approaching them and they can basically read through them, just pick one they like and they can go into a private session. It’s basically like Uber, you know? And then, at the end, when it’s done, they can approve the assignment and rate the tutor. The student gets work done and the tutor gets paid. That’s about it. So, a couple of things, because I want to have an understanding here also of how you and your business work. Let’s just step back and say OK, I love the way you’re bringing two communities together, that’s what mobile is really good for from the very, very early days, I remember writing articles about how mobile was enabling mobile commerce in areas of the world that had never had it before so it was allowing people to leapfrog. You’re really showing that with this app, there you are, educated in the States, living in Nepal and then making this possible. First of all, who is it possible for? Is it possible for everyone everywhere, or where is this app live? The app is live in about 10 countries but for now we are focusing on specifically on the United States. The thing is I’ve not been to schools in Britain or Canada, whatever, so I couldn’t actually design the app for that reason but I feel like it might be similar but this app actually works for America because I’ve been there and I’ve done that. OK, cool, I like that, I like that attitude. Now, you, your business, where does your business model come in? Are you getting a cut from – because you are in a sense not the middleman but you are providing the platform – how do you make your money? We take a 10% cut from the tutors but that includes the transaction fees and everything in between and we’re just free from the students if they want without any charges. So, basically, I mean, Peggy, I’ll be honest with you – I’m not doing this really for the money, you know. The thing is, in Nepal, like a dollar is 100 rupees, it’s basically – you get my drift, right, so even if I make $10, it’s going to be like someone in America making about $100. So, what I’m trying to do is I’m just trying to minimize the profit and just move the app in a different direction, like help students out for real instead of being greedy and just trying to grab all the money out there. OK, Kushal, so that’s interesting hearing about your app but we have to go to a break right now so, listeners, don’t go away because when we get back, we’ll be talking about this app but we’ll also be talking about the motivation to influence education, how to do that through an app and maybe some things that you can learn in the process. So, don’t go away, we’ll be right back. Hello, and we’re back. Welcome back to Mobile Presence. I’m your host, Peggy Anne Salz with Mobile Groove and my guest today, Kushal Ghimire, he is CEO of Livereporting and much more importantly the brains and the idea behind Assignmate. So, Kushal, in the first part of the show, right before the break, we were talking about the app and what it does but now I’d like to switch and focus on you as the entrepreneur or, as if you will, the appreneur behind the app. I mean, from Nepal into the iTunes App Store is quite a jump, it’s not what everyone can do very easily and you’ve achieved that. How difficult was it? Tell me a little bit about how long ago you started on the app and how long you’ve been live. I mean, I came back to Nepal almost 18 months ago, the app is actually – that was actually kind of a huge project so I needed a time, right, and there were a couple of difficulties with it. The first part would be funding, like every start-up, and the other part would be manpower. Nepal is basically, we’re kind of backwards in terms of infrastructure so we don’t really have much of an app culture out here, so I needed to find a team who could develop an app and just explain to them my vision. And then I needed investors who would believe in me and that was actually kind of difficult because if there’s a precedent, they would believe you. Like, if we ever had a company that came out of Nepal and that made waves around the world, they would be like Here, take my money, but that never happened before so I had to be like OK, this can be done, it doesn’t matter if I’m in Nepal – you can just upload an app on the iTunes Store and anyone in America or anyone anywhere else in the world can access it and, you know, if you work really hard, you might actually succeed. So, that was a difficult part but luckily enough I had a great team, they helped me out, finished up the app and actually managed to raise quite some funding. So, can you tell me about that funding – who are your angel investors or who’s the patron behind this idea? We actually have three people on the app, three people as investors. They are all close friends of my team, basically, that’s how we network at first. I thought maybe you went through the Sharktank or something. I wish, Peggy, I wish. I wonder if they have Sharktank in Nepal, I guess not. Peggy, you’d be surprised if you came to Nepal, we don’t have any start-ups culture whatsoever here, we are like – I’m not even, not trying to say bad things about Nepal but we seriously lack work ethics, you know. Like precedents, that’s what I’m saying, if you see any start-up that made waves around the world, it would motivate you to work harder and believe in yourself but that never happened in Nepal so everyone is just laid back and they think this is never going to happen. I mean, one time, like I was – there was an article on Medium and it said like “Why will a start-up from Nepal never succeed?” and it had like 100,000 views and 2,000 comments and I was so mad at that. I was like, you know how to write it doesn’t mean you didn’t try it and you can’t just tell people it’s not going to work out. So, it’s been quite a struggle. I like the fact that you’re going to show them that it’s the other way around. I can hear it in your voice and I can tell from the industry, I interview a lot of people and I can hear it if someone has the shine or not, and you definitely are into what you’re doing, into your craft, into the zone. Let’s talk about some of the business details around your app. I mean, I would assume, you know, since you’re on a shoestring budget, I would assume it’s organic in downloads, I would assume it’s unpaid as opposed to paid promotion – how are you actually getting the word around out there, of course, other than being on this amazing show, Mobile Presence, of course?! Thank you so much for having me on the show, one more time, and to answer your question, what we’ve been doing is we’ve been talking and reaching out to student magazines in all the universities around America and then you know the school emailing them, basically, and we did get a couple of responses and they were pretty motivating but I wanted to be honest with a reputed source and talk about my vision and my idea before, you know, going all out there because I know we’re going to get some pushback from education institutions, they’re going to be like OK, this guy’s helping people cheat but that’s not the point behind the app, we’re just trying to help people out. So, I wanted to talk to you first and, you know, use you as a reference when I talk to other people and be like OK, this is not what we’re trying to do, we’re trying to do something else, we’re just trying to make people’s life easier and go from there. Well, it is a smart concept, if you think about it, because you think about how Facebook started – it was on campus, it was doing exactly what you’re doing which is going around grassroots, doing the legwork, doing the work, so hopefully, in theory, it’s going to pay off because look at what happened to Facebook. So you have a good model, you have a good approach. So how is that then actually going, is there something you can tell me about the app, maybe not necessarily in downloads if you don’t want to reveal those numbers, but maybe just the overall response to this. Usually, when you have a grassroots movement behind your app, you have some interesting anecdotes about the app. I remember interviewing a guy who did a language app and he actually got feedback from someone saying thank goodness for your translation app, I was stuck in the Andes and I couldn’t speak to anybody and, thanks to you I used the app and I could get down the mountain or something. Not quite sure if it’s going to be that exciting at your end but do you have some stories to share or some numbers or details about the response to your app? Actually, we did land on landing site top 1,000 in four different countries and I paid nothing for that, it was free. And then we got a really good response from an editor from George Washington University, she was really excited about the app and she was like, you know, this is what I can use but what she offered me was like a spot for paid advertising and at that moment in time, I didn’t want to do it. I will do it in the future but it didn’t feel right at that time, I wanted the app to have some presence in the internet before I go with that. But we did get some good responses, I received some emails and they were like OK, tell me what you’re doing, but nothing out of the blue, nothing too exciting, I guess. Well, what about the users – do you have it built in and baked into your app if you make it easy to share and easy to be social about it, that’s also a boost? Have you done that? Actually, Peggy, we are trying to be as anonymous as possible with the users, we’re not trying – I mean, I’m thinking it might come down to how we get, how the education institutes react, if they try to push us back on it, I would not want my users to be found out, you know? So what we’re trying to do is we just take the email IDs and nothing else, so they’re protected but it’s on my end to make the app visible in the market. Well, let’s talk about what that sort of looks like, I wouldn’t say a downside, but what people are going – what you’re afraid of, this pushback which you’re concerned of, that educational institutions, universities, colleges are going to say, it’s an app for cheating. So tell me why it’s not an app for cheating, what have you built into this app to make certain that it’s about getting some help, which is what you do with tutors, and not just like logging into the app during the exams? OK, so I’ll just give you an example. You can use any app for doing anything but basically I help my team with coding and if I get stuck with something, I ask one of my experienced friends if they can help me out and once they tell me how it’s done, I never get stuck with that problem again. That’s what I’m trying to do, I’m not trying to just help you with one thing and just get them to do their papers, but they might be stuck with a simple maths problem and they need help. So, if someone helps them out one time, they’re set for the future. That’s the whole concept behind the app and, you know, it’s not like your assignment’s 100% part of your grades, so it’s just going to help you out a little, but come on, they pay thousands of dollars and they need – they deserve some help, honestly. Well, I can’t argue with you on that one because it is true, education is what you make it and your grades aren’t determined only by this and if you need some help along the way – it’s just tutoring but you’ve app-enabled it, so those concerns, if there are any out there, should be minimal at best. So, we have to go to a break right now but don’t go away because we will be back with Kushal and we will be talking more about the app and his experience as an appreneur. So, don’t go away, we’ll be right back. And we are back. Welcome back to Mobile Presence. 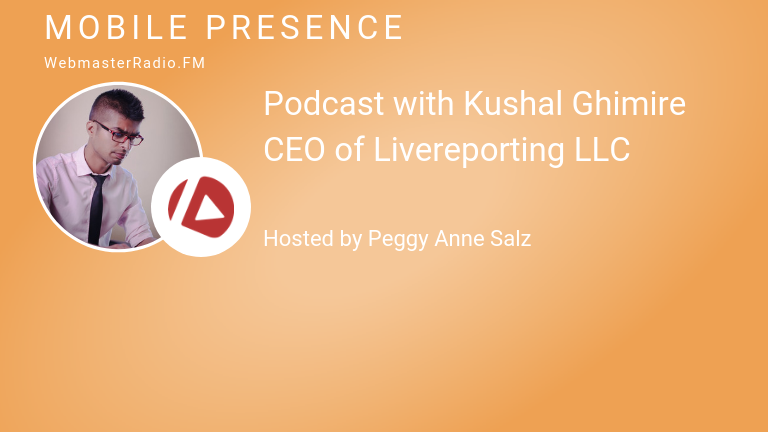 I’m your host, Peggy Anne Salz, with Mobile Groove and today we have, Kushal Ghimire, he is CEO of Livereporting and also the owner, founder and the muse, perhaps we can say, Kushal, behind Assignmate, which is your app. Now, we talked about the details around the app, we talked about some of the response from users – let’s talk about what you learned making this app, some of your lessons, even if they’re positive or negative, you’re an appreneur, you’re an entrepreneur, this was your idea, this is your baby – what have you experienced along the way? If you could call out maybe the best thing that happened to you, what would it be? OK, I’m going to tell you a statement. I was watching a documentary one time, right, and the actress starts with this line – “One of my biggest disappointments in my life is people who lack the courage of their convictions”. So basically what I feel is, I’m happy I decided to act on my convictions and that’s what I’ll tell all the wannabe entrepreneurs, you have to act on it and you’re going to get there. There are way too many stops, there is an endpoint, right, it’s linear, you’re going to get from point A to point B but there are way too many stops that you are not part of but the thing is you have to never give up and just keep working on it because it’s just an obstacle and you can get through any of them if you really believe in your convictions, that’s what I would like to say. Well, it sounds like a lot of those articles that you read, I read on Medium, we see on FastCompany, we see on Entrepreneur, it’s about that focus, it’s about not listening – I remember reading an article, something about the most famous people, including of course Steve Jobs, they just never listened to criticism, good or bad. You can say that’s stubborn, or you can just say that’s forceful. It’s part of the DNA. What do you suggest to people, we’ve talked about what you need to do, what shouldn’t they be doing? Honestly, not listening to criticism. The thing is, there is like 6 billion people out there, right, and even if 1 billion people like your idea, you’re set for life, you’re a great entrepreneur, so why listen to 5 of them, just do your thing and if it doesn’t work out, it doesn’t work out. But I believe it’s going to work out in the end, you know, if you work really hard, maybe not the way you thought, but it’s going to work out – so please, just do what you want and don’t listen to other people. They like to bring you down without doing nothing themselves, you know? So, how are you polishing up your elevator pitch, by the way? How are you doing on that one, that’s always the tough one, I go to these events, I’m also often a judge and it’s people with awesome ideas and a lot of enthusiasm but you’ve managed something – OK, a couple of your friends of friends are your investors, but nonetheless, you will be talking to the investor community as well as you grow your company. Any thoughts on that? Actually we do not have that kind of culture in Nepal so I’m hoping, I will work on it when I get a chance and when I get exposure from you, also, I’m hoping and from other platforms and then we’ll work on it. I’m hoping we will just change the culture and I’ll get a chance to work on my elevator pitch right here in Nepal. Good stuff. And finally, I mean, you know, as I understand it, you started work on your app 18 months ago, you’ve been live now how long? Six months, OK, pretty fast. Six months live, in ten countries, what’s next for Assignmate? We’re working on a feature called Feature Tutor. What happens is the best-rated tutor in the app and they will show up right on your feed so you can just kind of connect to them right away and that’s going to happen pretty soon. That makes sense because that what happens in these communities, you want to foster some sort of communication, you want to make it possible, maybe in the future, even for tutors to say Hey, look at me, I’m a top tutor, I’m tutor of the month, or something – you sort of want to make it possible for people to rise up and stand above the noise or be important in your app. Lastly, how do people connect with you, Kushal, or also find out more about the app? I know it’s in the App Store but how about staying in touch with you and also finding out more about that app? Actually, you can just find me on Instagram, I guess, or you can just send me an email – I don’t have a problem giving out my email if that’s OK with you? It’s ghimire.kushal@livemail.com. You can just reach me at any time or you can just find me on Instagram, Kushal Ghimire. OK, on Instagram, that’s how cool you are, most people, they’re either on LinkedIn. What about the app, that’s downloading and I see it in the iTunes App Store, is it also on Android? It’s not on Android, we’re just doing iPhone for now. 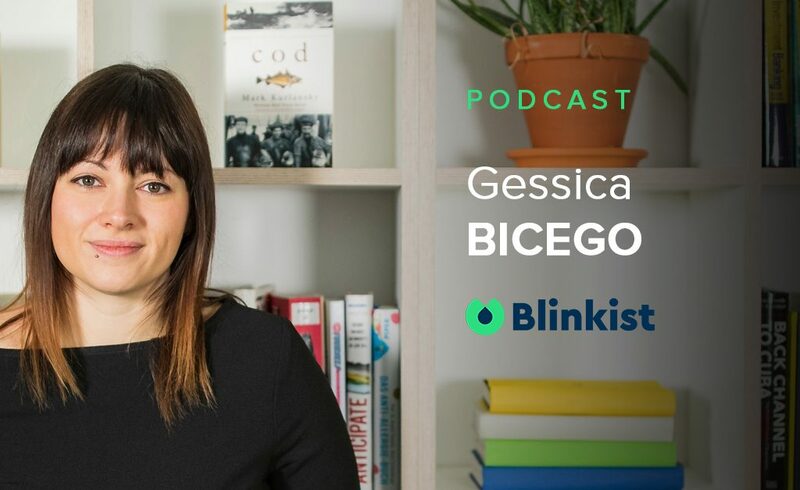 It makes sense because of course you do want to reach a certain audience that’s also going to invest in the app because it’s also about, in a sense, commerce, services for money. Well, great, Kushal, I can only wish you all the best, it’s great to have you on the show and maybe we’ll have you back again when you have some great new news for us or you’re one of the Forbes 30 under 20, you never know, right? We knew you way back when, and you were on my show first, right? I hope so, and thank you so much for the well wishes and getting me through this, thank you so much. Well, you sound very determined, you’re going to do just fine but thank you for making me feel as if I’ve motivated you or helped you out here. And great show, and everyone, friends, if you want to keep up with me throughout the week or find out more about how you can be a guest or sponsor on Mobile Presence, then you can email me, peggy@mobilegroove.com, that is Mobile Groove where you can also find my own personal portfolio of content marketing and app marketing services. So it’s another wrap of Mobile Presence, until next time you can check out this and all other earlier episodes of our show by going to webmasterradio.fm or you can find our shows on iTunes, Stitcher, Spreaker and iheartRadio simply by searching Mobile Presence. So until next time, remember, every minute is mobile, so make every minute count. We’ll see you soon.